← Oct. 2011: Salmon Limit! Two Keeper Sturgeon on Suisun Bay! A Suisun Bay Freight Train! The 59 inch, 45 pound beast poses with the handsome fisherman. Having chased salmon once too often this autumn, catching nothing for last week’s efforts, I declared my salmon season over and looked forward to begin my favorite season of all, fishing for the mighty sturgeon! I think the best opportunity for catching sturgeon is when there is a huge outgoing tide, and this week’s Suisun tide was predicted to be ideal with a drop of over five feet – and I wanted to be there! Often times the deep tides run too late at night or the weather makes a trip to Suisun Bay a foolish venture. For this first week of my sturgeon season, everything was pointing to a great opportunity. The weather forecasts predicted cool nights, perhaps in the 30s, but with light winds. 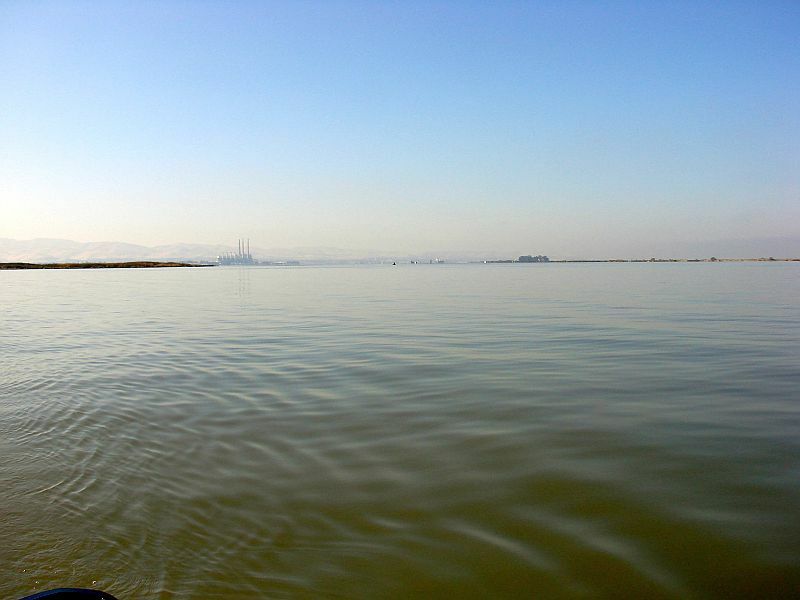 On Suisun Bay, light winds are not to be wasted; such predictions are not the norm. The Sacramento River was flat calm as I motored the 20 miles or so to Suisun Bay. This is not a common site on the Delta! On Tuesday morning I launched into the Sacramento River at Rio Vista, and pointed FishWisher the boat downriver for the 20 mile run to my Suisun honey hole near Roe and Ryer Islands. I arrived at my favorite sturgeon hole about 1130 and dropped my anchor into the cold, brackish waters. I probably spooked any sturgeon in the area as my all-chain rode clattered through the windlass. I planned be there ‘til Wednesday – unless I got lucky early. I love to overnight on Suisun Bay when the weather cooperates; it is as serene and remote a place as one can find on the Delta, and sturgeon are often cooperative there. A cold breeze cut through me like a knife upon my arrival, but in due time the breeze calmed and the incoming tide turned to a long, deep outgoing current. The afternoon was sunny if not warm, and all was well in my world. For several hours I offered eel steaks to any passing sturgeon with two rods, hoping to increase my chances. Eventually I stowed the second rod, figuring one rod that I could hold in my hands would be much better tended – and I wouldn’t have a second rod to reel in when and if I got lucky. 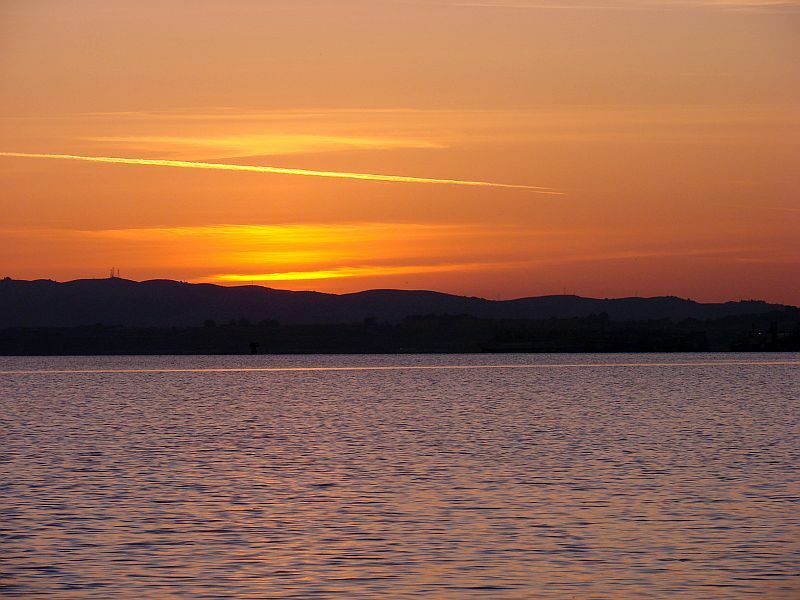 A glorious sundown on Suisun Bay, taken as I awaited the bite of a hungry sturgeon. I had just set down the camera and was about to take my seat in the cockpit when the reel buzzed out the good news that I had a visitor! I grabbed the rod, set the hook and began a short battle with a very angry sturgeon. He fought briefly, and while he lasted it was a good fight. But all too easily he came to the boat, belly up and finished. I measured him with my plastic tape thingy, and figured him to be about 46 inches, the bare minimum size to keep. Because it was so early in the evening and I didn’t want to slobber up the deck with a possibly undersized sturgy, I released him to fight another day. But I had brought what was likely a keeper to the boat, and the evening was young! I noted my catch on my sturgeon report card, and continued fishing. 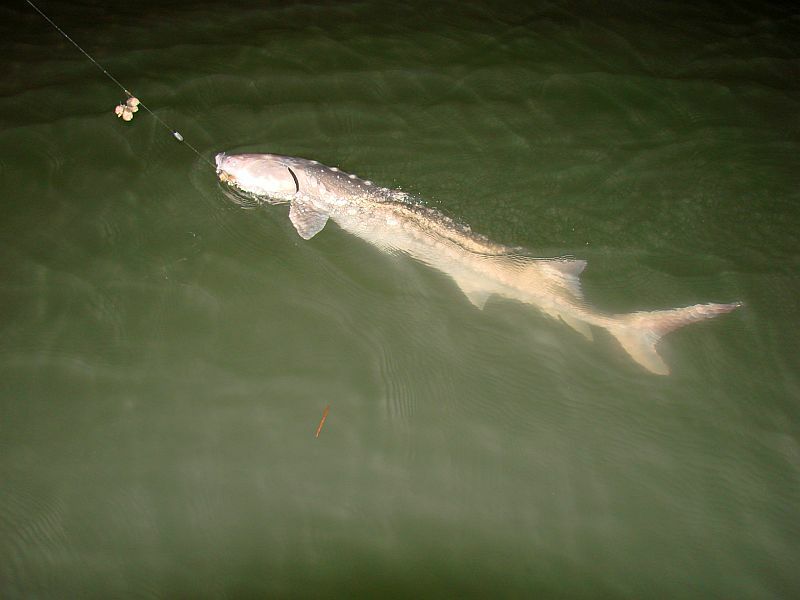 The 46 inch (approximate) sturgeon that was released to grow some more. And perhaps develop some endurance for his next fight. I tossed out some freshened bait again, sat back and enjoyed some hot, although instant, coffee. Darkness had fallen and I was thoroughly enjoying my evening on Suisun Bay. About an hour later, as I sat back with rod in hand, my reel screamed to life as though a passing freight train had taken the hook! I have never, except for Dorado in Mexico, had a fish take my line so furiously as did that wild and crazy sturgy! I have experienced what we fishermen call a “suicide hit” by sturgeon when instead of a gentle nibble they run with the bait at once. I assume that’s the result of having a competing fish nearby causing the sturgeon to run with his find, but nothing explains the speed and force of this insane run! I slammed the drag lever forward and was amazed that it had almost no effect on the run. I foolishly pressed my thumb into the spool to slow him down, and got a burned thumb for my effort. Soon enough, while I stood there dumbfounded, the long, hard run slowed and halted. I immediately began reeling him back to the boat when he tried to rest, and made him work for every inch of line when he tried to run. In a period of about ten or fifteen minutes, he was to the boat three times. Finally spent, he tried to sink below the surface as I tried to measure him. I was sure he was in the slot of 46 to 66 inches, so I scooped him into the net and welcomed him aboard. The big keeper is welcomed aboard! He measured in at 59 inches, so I administered a righteous whack or two to his noggin. I weighed him in as best I could at 45 pounds, but I may have been off a bit as that is too much weight for this old man to lift easily while trying to read the scale. Wow! What a fish! What a battle! What a night under the bright, full moon all alone on Suisun Bay! I am always amazed that I am the only guy out there of the millions of folks who live around the bay and Delta. If others knew of the serenity, the adventure, and the beauty of Suisun Bay as we relatively few fishermen do, the place would be crowded every night! By 2000 or so, my big fish was in the fish box, the deck was cleaned of most of the sturgy slime, and I, too, was spent. I dutifully filled out and attached the tag and completed the sturgeon report card for my catch. Finally, I kicked back in the cabin with a few “Cockpit Collins” drinks and sent photos of my big catch to a few friends via cell phone. By 2200 or so I crawled into the cozy V-berth for the night. It had been a grand Suisun Bay adventure, and I looked forward to heading to the ramp at daybreak. The night was flat calm as predicted, not something one often experiences on Suisun Bay. 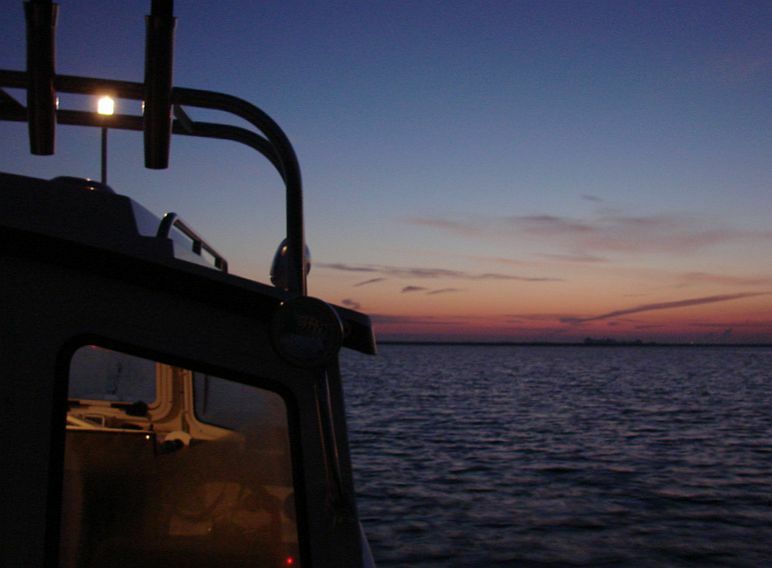 Dawn of a new day on Suisun Bay – it was time to weigh anchor and head for the ramp. It had been a very exciting Delta adventure! Cruising across the bay toward the ramp early on Day 2. What a beautiful Suisun sunrise and one of my most dramatic photos ever! I’m already anxiously awaiting my next adventure on Suisun Bay – and have two more sturgeon tags to use this year! This entry was posted in Fishing Overnight on the Water, Fishing Sturgeon. Bookmark the permalink. 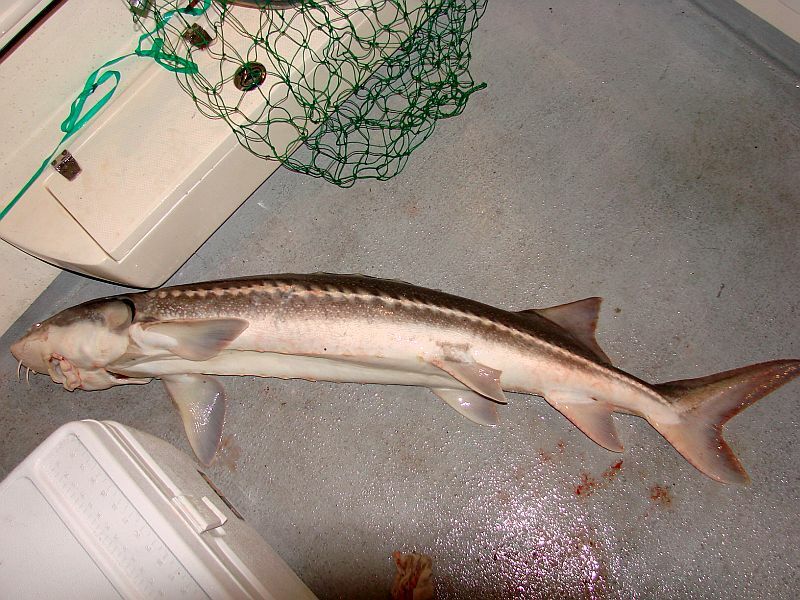 9 Responses to Two Keeper Sturgeon on Suisun Bay! I thoroughly enjoy your reports. Keep them coming, and good luck in your fishing adventures. Thanks, Steve. I’m always glad to hear when folks enjoy my stories. 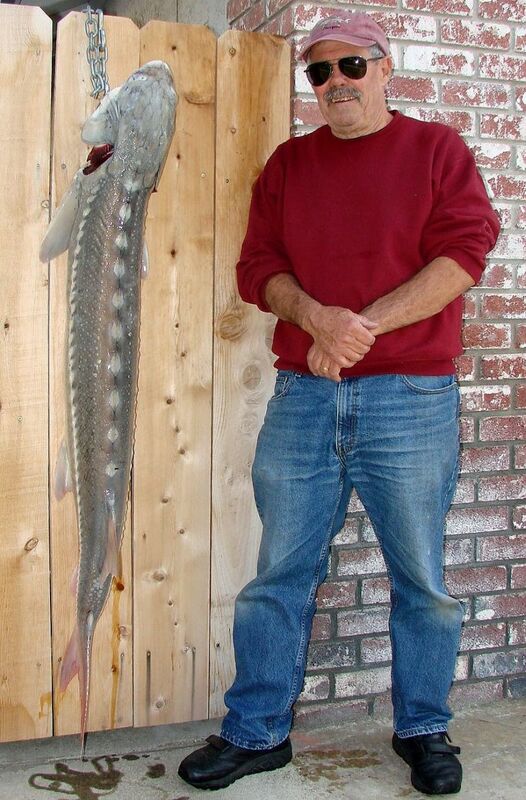 I’m hoping to make a sturgeon trip this week to Suisun Bay, then will likely park the boat ’til mid-February or so. I’m getting too old for those cold, winter trips on the delta! Another great trip and another great story, thank you. SInce I launch from the same ramp as you, I know that the trip to Suisun Bay is a long one, especially if Mother Nature does not cooperate. A great way to end 2011 and I look forward to seeing you on the water in 2012. Have a Merry Christmas and hopefully Santa will bring you one of those huge lamprey eels folks talk about. Howard – I understand I can get one of those big eels at Bay Point and will try that on my next trip – but likely not ’til February. Then again, maybe some nice weather and tides will come along before then…! Merry Christmas to you and yours, too. 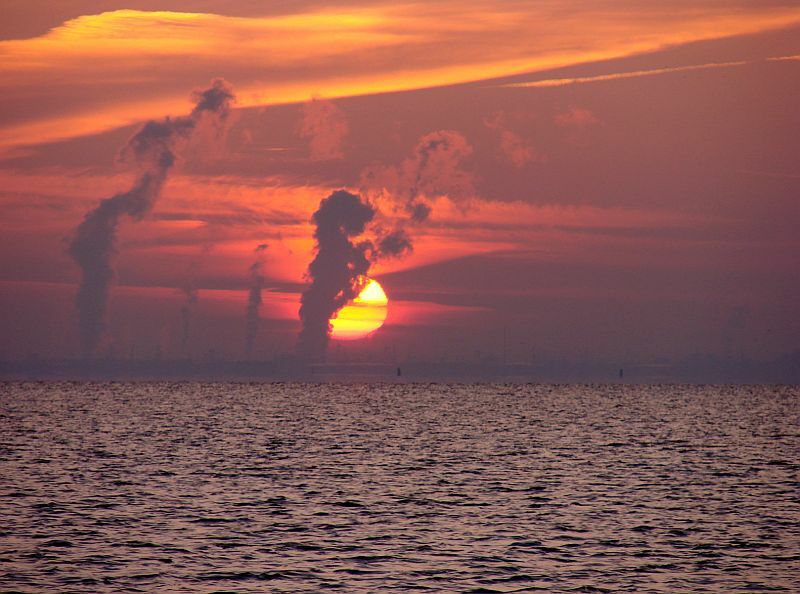 Awesome morning shot of Suisun Bay. Never realized the scenic views coming from Suisun Bay. Thanks for sharing the images. I’m glad you enjoyed it, Jason. Thanks for the visit. Thanks for the visit, Jerry. Glad you liked the story. If this old geezer can land ’em solo with a net, I’m sure you’ll do fine. I hope you catch your first sturgy!